This professional Deluxe Punch with Tubing Cutter punch does it all. 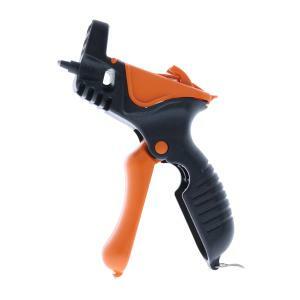 The main feature of this professional punch is it quickly and easily punches precise uniform holes in any size of drip irrigation tubing. It also cuts tubing and assists in fitting insertion. By lifting the cover of the cutter you can cut 1/4" micro tubing with a simple pull of the lever, and 1/2" drip tubing by slightly rotating the drip tubing as you cut.